Canada has gradually turned in to the most desired Immigration Destination across the globe. It’s lenient immigration policies have opened the doorways for the worldwide immigrant workers aspiring for immigration and PR in an advanced country. The organized and point based system makes the pathways to Canada smooth and troubles free. Also Read– Are you confused About Choosing the Right Immigration Program to Apply Canada PR Visa? Several provinces in Canada are in great need of skilled and immigrant workers. There is a severe problem of skill shortage and low population growth in certain Canadian provinces. To combat both these challenges, the provinces want more and more immigrant’s entry in their respective provinces. The Provinces often pressurize the federal government to increase their annual immigration quota of inviting applications from the overseas applicants. So, if you are an aspirant of Canadian Permanent Residency, you have every reason to apply Canada PR at now. What are the Canada immigration pathways open at now? Canada’s immigration system is being praised all over the world today. The Immigration Refugees and Citizenship Canada (IRCC) in coordination with the provincial governments have designed multiple pathways or immigration programs for the applicants to apply Canada PR. 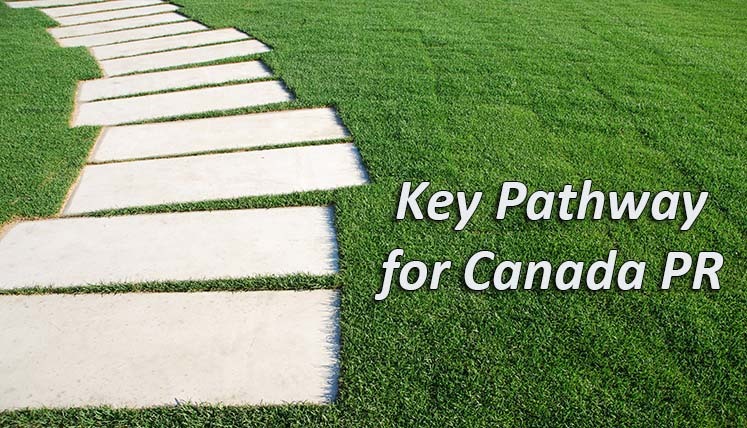 Here are some key pathways to apply Canada PR for the overseas immigration applicants. Well, launched in 2015, express entry system is today one of the best immigration systems of the world today. It is the most organized point based online immigration system of Canada. In fact, the advanced nations like, USA and UK are also looking to implement the point-based immigration system similar to federal Express Entry Immigration System of Canada. The Provincial Nominee Programs (PNPs) are the alternate immigration program to federal express entry. In fact, Express Entry Sub-category of every Provincial Nominee Program is linked with the express entry pool of candidates. The PNPs help applicants obtain Canada PR via two ways. Although, the intake of Quebec Skilled Worker Program (QSWP) is not opened for quite some time now, however, it is expected to open at any point of time this year. The QSWP is the immigration program of Quebec province in Canada. If you apply in QSWP and get selected, you will receive CSQ (Quebec Selection Certificate), which in turn will make you eligible to apply for Canada PR to Immigration Refugees and Citizenship Canada (IRCC). If you are applying for Canada PR for the first, time, it wise to take assistance from a certified and genuine Canada migration expert. If you also seek the professional advice and assistance to apply for Permanent Residency in Canada, you may send your profile details along with your immigration associated query at email id- info@visasavenue.com. Canadian PR- How easy it is to get Permanent Residency in Canada from India?